The Delhi University has geared-up to choose it's new students' union leader by casting their votes to their preferred candidate. 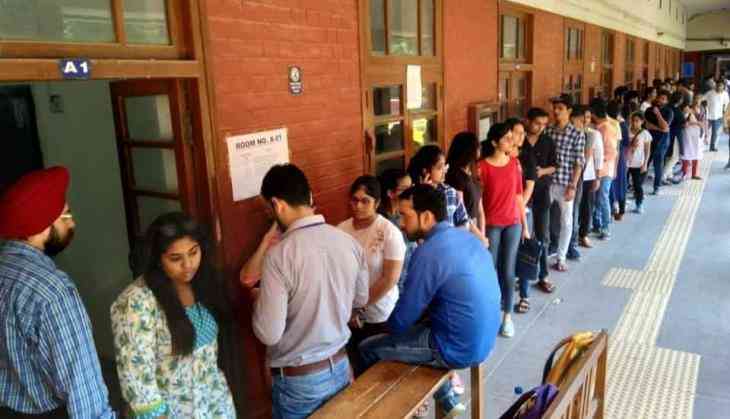 Around 1.35 lakh students will cast their vote and will decide the fate of 23 candidates in the Delhi University Students’ Union (DUSU) elections on Wednesday. As many as 700 electronic voting machines (EVMs) have been placed in 52 centres of the university. The polling in the morning colleges will commence at 8 am and end at 1:30 pm. Well, the polling enters the final stage for morning colleges. While in evening colleges, it will be held between 3 pm and 7.30 pm. Last year, the polls saw a 43-per cent voter turnout. Major student-wings contesting for DUSU polls are RSS-backed Akhil Bharatiya Vidyarthi Parishad (ABVP), Congress’ student wing – National Students’ Union of India (NSUI), and Students Federation of India (SFI) of Communist Party of India (Marxist) (CPI(M)). The DUSU elections 2018 is going to be a triangular contest this time as an alliance of All India Students’ Association (AISA) and the Aam Aadmi Party’s (AAP) student wing, Chhatra Yuva Sangharsh Samiti (CYSS) will be participating in elections. Ankiv Baisoya, 23 is ABVP’s presidential candidate and Shakti Singh, 23 is its vice-presidential candidate. Sunny Chillar, 21 for NSUI post of president and Leena, 23, vice-president. The AISA-CYSS alliance has fielded Abhigyan, 18 for the post of president and Ankshika, 17, for the post of vice-president. The DUSU election 2018 results will be declared on September 13.